Boy was it cold and windy and snowy! 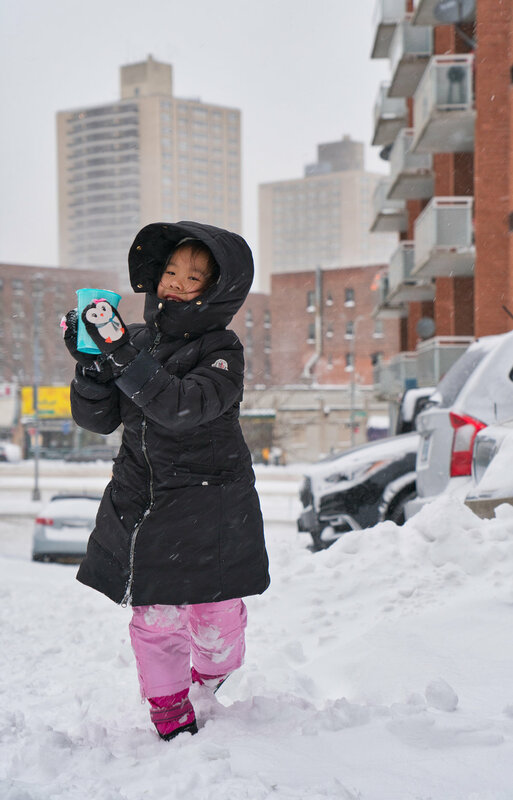 Over here in Queens, we got close to 10 inches and schools were closed so the girls obviously had to go out to enjoy the snow. They didn't stay out too long (the wind was blowing up to 40 mph) but I was able to take some photos of their fun. It's important to always bundle your girls in the best coats, gloves, scarves, and hats. Also put the best boots on them too! Here's some gear I recommend for your little ones when they need to battle the outdoors to build that snowman!